Turnkey cells for bending metal sheet. The robot handles the metal sheet from the inpute pallet plate input until the sheet is completly formed. 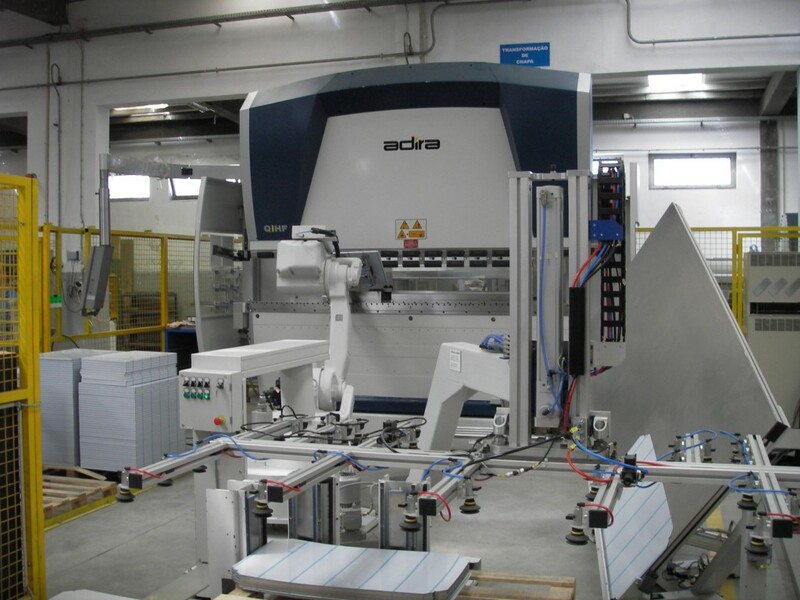 The bending is a fully automized process between the robot andthe press brake machine. The cell is autonomous, requiring no operator. Possibility to use an external axial axis to expand the robot work area. Manipulable metal sheet weights up to 300kg including "gripper".